Having recently returned from a holiday in Cyprus, I wanted to recreate some of the tasty Greek-Cypriot-style pastries at home. 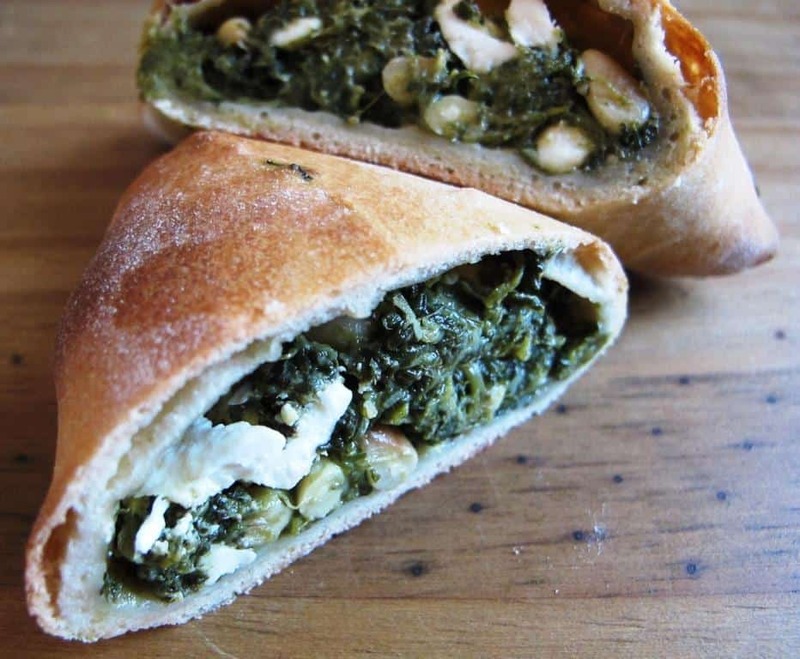 This is my take on spanakopita (spinach triangles) – little pastries stuffed with spinach, feta cheese, pine nuts and fresh herbs. 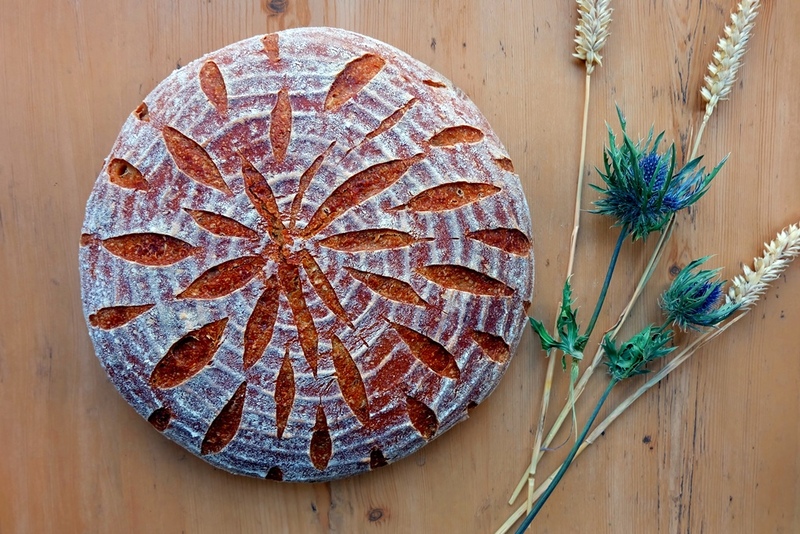 On a lightly floured surface, roll out each dough piece into a round about 15 cm in diameter, one at a time. Place 1/8 of the spinach and feta filling onto the dough round. Pick up 3 “corners” of the dough and bring together to form a dough triangle. 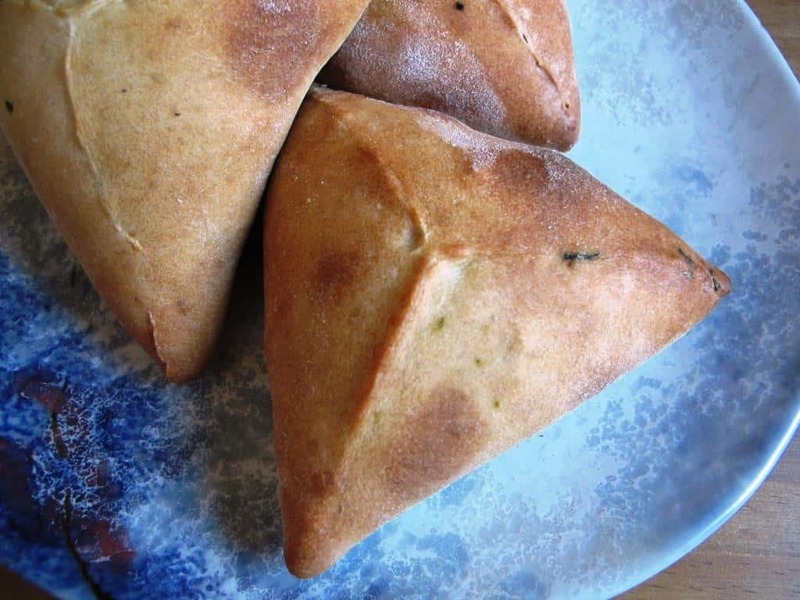 Shape the dough parcel by bringing together the sides of the triangle, sealing them carefully. Use a little water to make this process easier. Place the dough parcels on a baking tray lined with baking paper. Bake for 12 to 15 minutes until golden brown. Cool on a wire rack or eat warm. 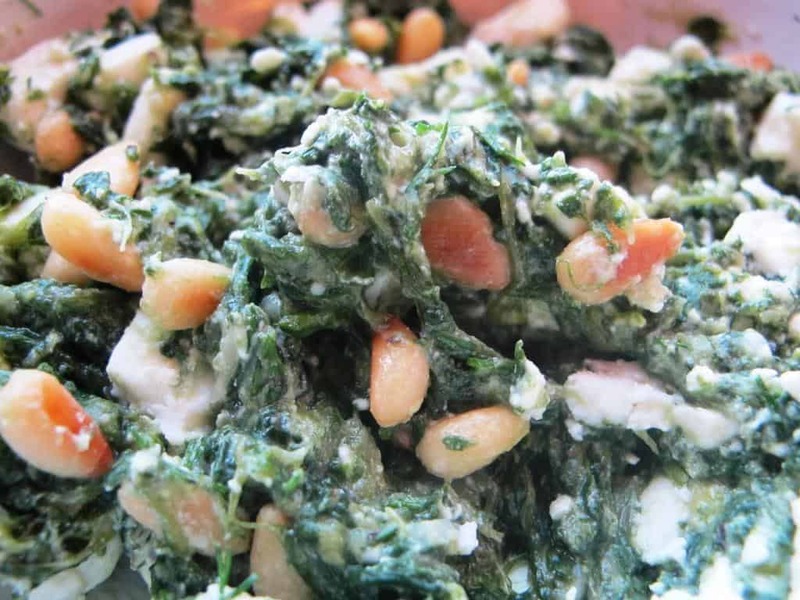 Here they are – great spinach pastry appetizers!